The TWA Hotel, opening in spring 2019, is now accepting reservations and event proposals. The hotel, constructed within a former terminal, boasts an upbeat 1960s vibe in its 512 rooms and 200,000 square feet of flexible meeting space. The hotel’s 15,000-square-foot, vehicle-accessible Starstream Ballroom has 21-foot ceilings and 7,000 square feet of pre-function space. Overlooking the ballroom are six Skybox breakout areas. The hotel’s Flight Center Ballroom is a 4,200-square-foot space that overlooks the terminal. The hotel’s seven-pane-thick-glass curtain walls and soundproofing measures will provide guests with an ultra-quiet stay. The hotel has six restaurants, eight bars, a pool, fitness center and a 10,000-square-foot rooftop observation deck. › The Rooftop Pool Deck and Constellation Club Terrace are vehicle accessible. 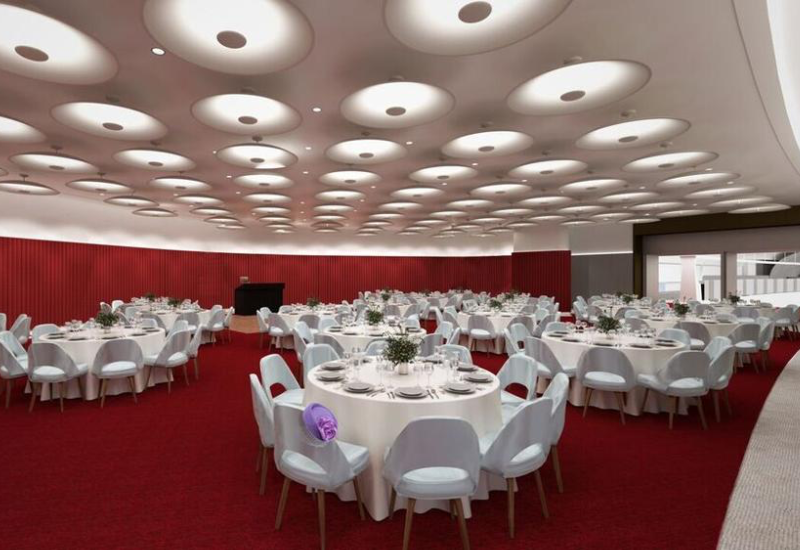 › Hotel is located within the JFK Airport complex with views of the runway and TWA Flight Center. 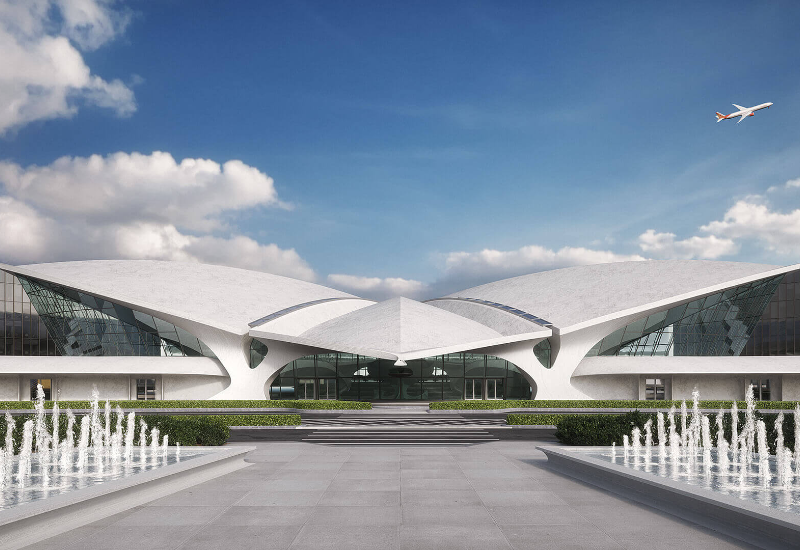 › The TWA Hotel also will feature a hotel bar built into a rare Lockheed Constellation L-1649A Starliner, custom restored for the purpose.